That faint, distant sound you hear? That'll be the cheering of millions of fans who have just learned that TechRadar's weekly gaming column is back. Yes, 7 Days in Gaming has disappeared and been replaced with the new name of - get ready for it - Week in Gaming. "But hold on, 7 days make a week!" you cry. Well observed, but this is completely different. It's better, faster, stronger, game-ier. So it needed a completely new name to reflect that. Got it? Good. Let's get going. We might be getting pant-wettingly close to the launch of GTA 5 (psst more screenshots over here) but this week we heard rumblings of some other Rockstar franchises you might have forgotten about while you've been caught up in the Los Santos haze. One of these was Bully. We're big fans of the sandbox school-em-up, so news that Take-Two Interactive has filed for a new Bully trademark left us feeling all warm and fuzzy inside. If, like us, you were big fans of BioShock Infinite but felt your time in the clouds was all too fleeting, this was the week to dust off your disk (or boot up from the home screen, because we can totally download stuff now) and dig into some brand new DLC, called Clash in the Clouds. But that wasn't even the best part. There are two more DLC adventures heading our way, one of which will whisk us back to the sullen depths of Rapture from the original BioShock title. Burial at Sea will be a new adventure that places both Booker Dewitt and Elizabeth of Infinite fame back into the underwater dystopia, set before the fall of Rapture took place. No word of an exact release for this but we don't think we've ever been this excited about a piece of DLC before. In the meantime, why not go and read our interview with the father of BioShock, Ken Levine? This week has been big on the yawn-inducing financials, but one of the more notable ones to make headlines was Nintendo's. Overall, Nintendo's results weren't as terrible as all the "Nintendo is over!" doom mongers will have you believe. However, with the Wii U having sold a meager 160,000 units during the last quarter, Nintendo clearly has a bigger challenge on its hands with the console than a lot of us thought. Sony also dished out its quarterly financials this week, and its PlayStation division isn't doing too fabulous right now in terms of sales with just 1.1 million PS3 units sold during Q1 - though that's not surprising with PS4 pre-orders heating up ahead of launch. And heating up they are. So much so that Sony is imposing a UK-wide limit on orders for the console. So if you're hoping to get your PS4 on the day of arrival, best stop reading this and make a dash to your local games store. Wait, do any of those still exist? 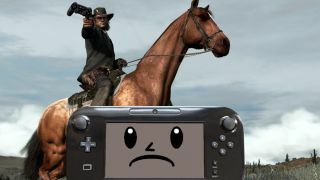 And if you're still undecided, you can check out our next-gen showdown, which took place on TechRadar this week.